Late in the evening, Sept. 1, 2017, the White House announced President Trump had nominated Rep. James Bridenstine, R-Okla., to be the next NASA Administrator. The U.S. Senate, which returns from its August break on Sept. 5, will need to confirm him before he can take up the role as the head of the U.S. space agency. Former astronaut Charles Bolden held the role previously. He resigned on Jan. 20, 2017, following the inauguration of Trump as the 45th president of the United States. Since then, Robert Lightfoot has served as acting NASA administrator. Lightfoot said he looks forward to working with a new leadership team and the Trump administration on NASA’s current missions of exploration and discovery. “Our history is amazing, and our future is even brighter, as we continue to build on this nation’s incredible global leadership in human exploration, science, aeronautics and technology,” Lightfoot said. "Mr. Bridenstine was elected in 2012 to represent Oklahoma’s First Congressional District. He serves on the House Armed Services Committee and the Science, Space and Technology Committee. Mr. Bridenstine began his Naval aviation career flying the E-2C Hawkeye off the USS Abraham Lincoln aircraft carrier. It was there that he flow combat missions in Iraq and Afghanistan. While on active duty, he transitioned to the F-18 Hornet and flew as an “aggressor” at the Naval Strike and Air Warfare Center. After leaving active duty, Mr. Bridenstine returned to Tulsa, Oklahoma, to be the Executive Director of the Tulsa Air and Space Museum and Planetarium and flew counter-drug missions in Central and South America in the Navy Reserve. He holds a triple major from Rice University and an MBA from Cornell University. Mr. Bridenstine is currently a member of the 137th Special Operations Wing of the Oklahoma Air National Guard." 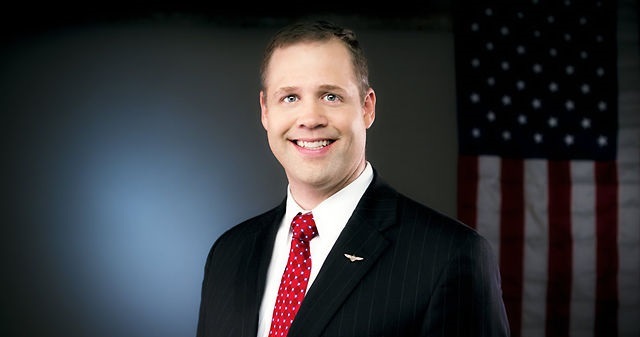 Bridenstine has sponsored a number of bills related to space. His best known was the 2016 American Space Renaissance Act, which among other things would have directed NASA to develop a 20-year plan that outlines broad goals, including a 5-year range for astronauts to land on Mars, and would have called for multi-year budgets starting in the fiscal year 2018. The bill never became law. Until the Senate confirms Bridenstine, a process that could take several months, Lightfoot will remain as acting NASA administrator. He is currently the longest serving acting administrator at 224 days as of Sept. 1. Additionally, the Trump administration still needs to nominate a deputy NASA administrator. Currently, Lesa Roe is serving as acting deputy; however, according to Space News, she is expected to leave the agency in the coming weeks. She was named as the sole finalist to become the next chancellor of the University of North Texas.